POLICE and Crime Commissioner, Jason Ablewhite has today (31st July) announced that Nick Dean can now be appointed as the new Chief Constable of Cambridgeshire Constabulary following a meeting of the Police and Crime Panel. The confirmation is the final step in a robust and transparent recruitment process where the Police and Crime Panel endorsed the Commissioner’s choice. 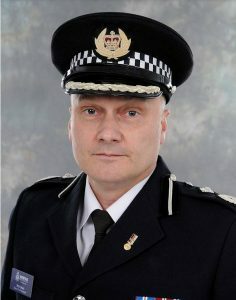 “I am delighted to be able to appoint Nick Dean as the new Chief Constable for Cambridgeshire. “When I set out on this process, it was important that I recruited a Chief Officer who could bring the vision, determination and resilience required to lead the Constabulary. Nick performed very well throughout the whole assessment process and demonstrated great leadership skills. His understanding and inclusive approach to partnership working puts him in a good place to support the priorities in my Police and Crime Plan. Nick’s distinguished career began at Norfolk Constabulary in 1992 following serving the Royal Air Force in Norfolk. Deputy Chief Constable since September 2016, one of Nick’s biggest successes was to develop and implement Norfolk’s Ethics and Integrity Board which received praise from Her Majesty’s Inspectorate of Constabulary and Fire and Rescue Services in their recent inspection programme. Nick was also responsible for overseeing Norfolk’s new policing model and has continued to lead on the county’s response to rural crime. Before that, Nick led the County Policing Command of some 1,000 personnel covering six geographic policing districts as Chief Superintendent, between December 2011 and June 2013, and was Assistant Chief Constable until 2016. During that time, he was responsible for Local Policing which included the County Policing Command and Safeguarding and Investigations Commands. He was also an active member in a number of partnership boards. Alec Wood will continue in his role as Chief Constable until the end of September 2018 when Nick will take over.